For months, fans were excited to see Firefly star Nathan Fillion cameo in Guardians of the Galaxy Vol. 2. Though the actor had lent his voice to an alien in the first movie, this promised to be a more substantial role, as he was playing Simon Williams/Wonder Man. Unfortunately, however, when the sequel hit theatres, Fillion was nowhere in sight. So what gives? Thankfully, director James Gunn has taken to Facebook today to explain “the full story” behind the cameo and just why it was eventually left on the cutting room floor. It’s a lengthy post, but well worth the read. “As many of you know one of my best friends in the world is Nathan Fillion. Along with Michael Rooker and Gregg Henry he’s been in every movie I’ve directed – even as a monstrous, perverted voice in Guardians of the Galaxy. I didn’t have a good cameo for him in Vol. 2 – and I wanted to bring him more fully into the MCU at some point, so I didn’t want to make him Aakon Guard #2, narrowing his chance of a more substantial role in the future. “I really do love the character of Simon Williams/Wonder Man in the comics – a sometimes douchey actor/superhero – and could see Nathan clearly in that role (not because he’s a douchebag but because he’s great at playing one). But, of course, in a movie set 99.9% in space I didn’t really have a place for him. So in a small flash to earth I decided to put a theater playing a ‘Simon Williams Film Festival,’ with six Simon Williams movie posters outside. Obviously, from the posters, he’s had a run of B movies. Most of them in themselves are Easter eggs of some sort or another. “Unfortunately, the small section of the scene where they appeared slowed down the movie and I had to cut the Easter eggs from the film (along with storefronts named after comic book luminaries Starlin, Mantlos, Annett and others). Equally a bummer was that a lot of people took photos of these posters on the day so suddenly every fan site was reporting that Nathan was playing Wonder Man in he movie. He was even the third-billed actor on IMDB! “So that’s the full story. Nathan’s only cameo in the movie ever were these posters. I’ll post them all over the next few days. 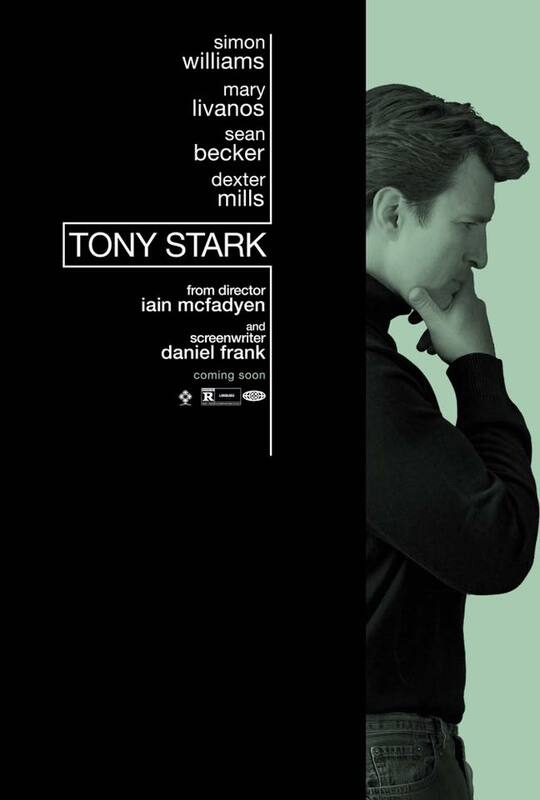 Gunn also shared one of the mock posters featuring Fillion in character as Williams; a poster for a fake biopic about Tony Stark, parodying the real life Steve Jobs movie. You can currently catch Guardians of the Galaxy Vol. 2 – sans Fillion – in theaters everywhere. Though reviews have been slightly more mixed than the first movie, it’s proven to be another smash hit for the MCU, much to the surprise of no one.